A bumper pack of best-loved classics to last you all through winter. Feel those cosy vibes. Five cuddly picture classics, from colourful Elmer to ultra-cute Dogger. The ultimate excuse to snuggle up. Can you see those adorable pictures which invite big hugs? These charming tales are just right for sharing with your favourite people. 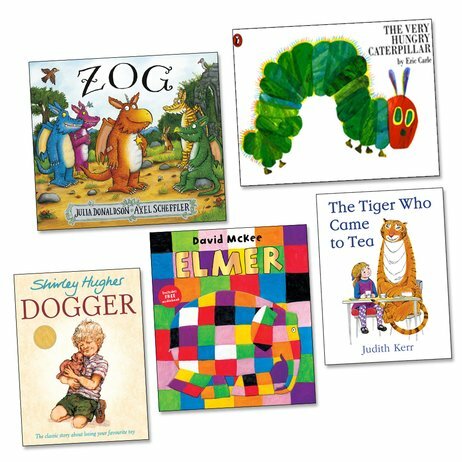 Find out what a hungry caterpillar eats, or share your teatime with a friendly tiger! Sweet, funny and heartwarming. No little person should miss out.